November has kicked off winter a little earlier than expected. With snow piling up outside, many have found themselves exploring new kitchen ideas. 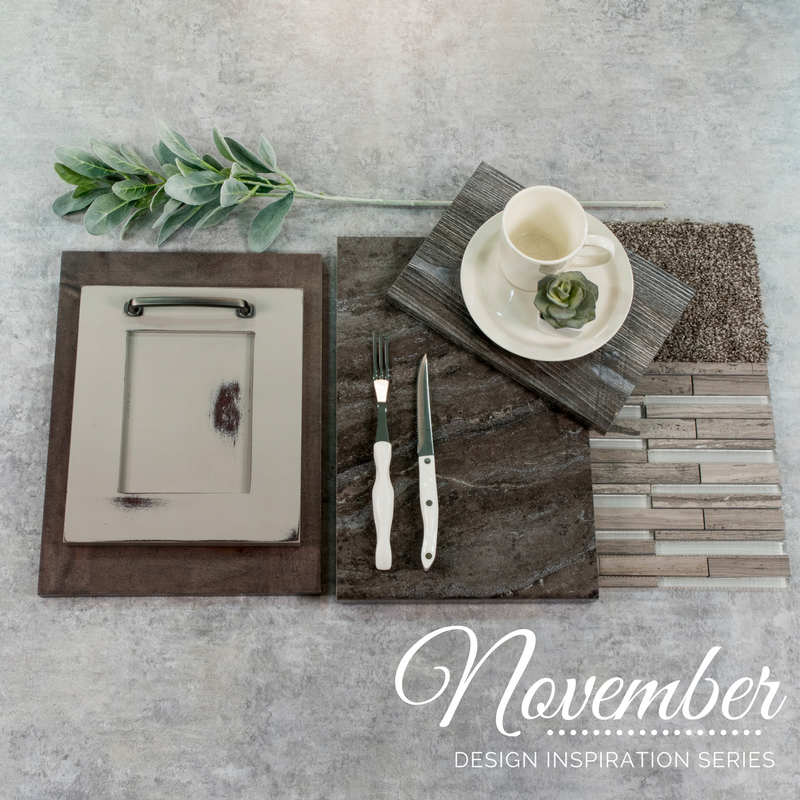 This month we are showcasing a palette that has been very trendy over the last several years... gray cabinets! Gray cabinetry has evolved a lot since it first hit the scene. It is a neutral color and therefore often serves as a backdrop in design. Grays are commonly combined with brighter accent colors. But they can also be used on their own in designs, and can create very sophisticated atmosphere. The meanings and impressions of neutral colors are much more affected by the colors that surround them than are warm and cool colors. Gray is generally considered to be on the cool end of the color spectrum. It can sometimes be considered moody or depressing. Light grays can be used in place of white in some designs, and dark grays can be used in place of black. Both options create a softer , more comfortable space than the starkness of pure black and white. Gray is generally conservative and formal, but can also be modern. It’s commonly used in corporate designs, where formality and professionalism are key. It can be a very sophisticated color. Pure grays are shades of black, though other grays may have blue or brown hues mixed in. In design, gray backgrounds are very common. You don't have to be an interior designer to make the most out of this beautiful neutral color palette. 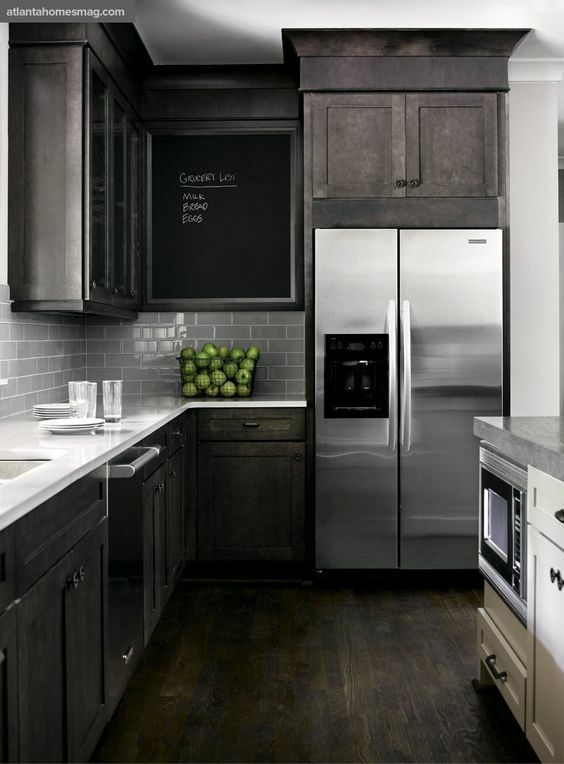 Check out some interesting ways to use gray in your cabinetry project. Go for a high contrasting room by doing upper cabinets in a white and base cabinets in a bold dark gray. Paint your walls a beautiful gray to bring attention to a crisp clean white kitchen. 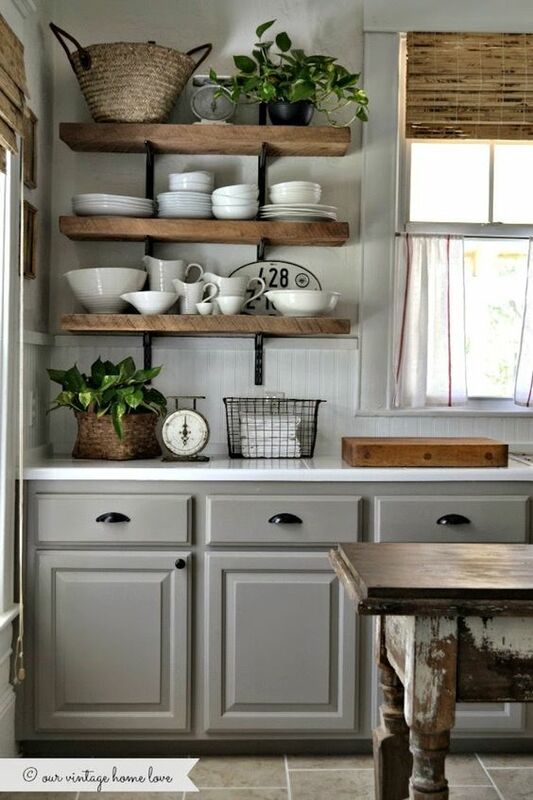 Give your gray cabinets a boost of warmth with some rustic wood accents like these shelves. In order to tie the look together consider adding rustic decor and curtains. Try something ultra modern with high gloss cabinetry. Easy to clean with a stunning finish. This is a perfect pairing of texture and a neutral palette. 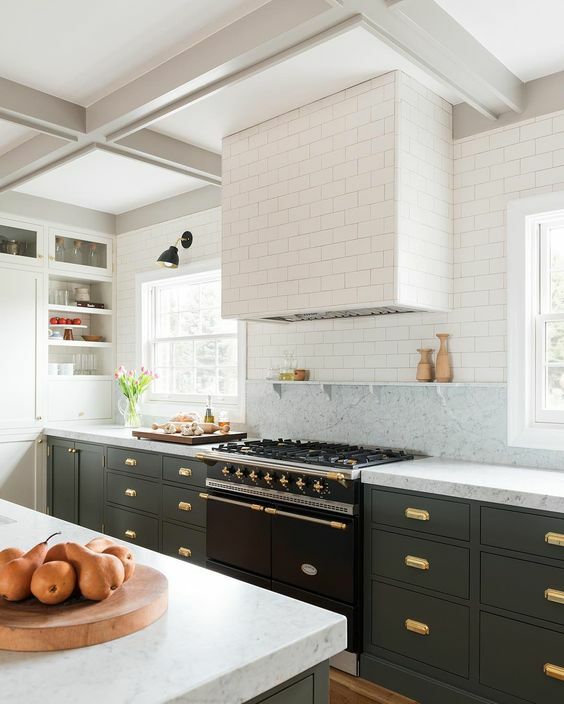 The gray backsplash compliments the upper cabinets and countertops while breaking up the white and pairs nicely with the clear lacquered base cabinets and feature hood range. Don't overlook giving your bathroom a makeover too! This warm gray goes stunningly with the gold decor accents. Pair a dark gray stain with a medium gray subway tile backsplash for a cozy kitchen. Even apartments and condos can have mega style! Pair gray stained cabinetry with a high gloss backsplash to keep a small kitchen feeling spacious! 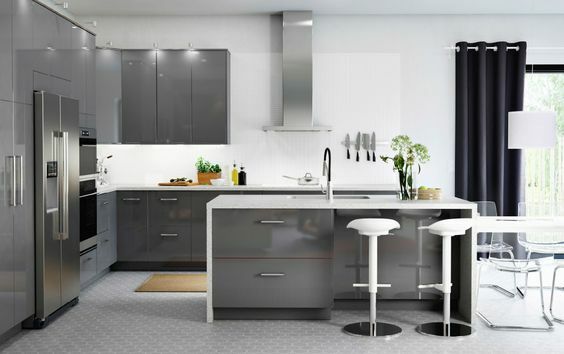 Try pairing gray cabinets with metal and glass accent cabinets to give your room a modern vibe. If you have a well maintained kitchen, consider switching out your old countertops for a new gray option! Use different hues of the same color throughout your room. In this kitchen, the upper cabinets are painted the same color as the wall to give the built-in look a classy feel. The base cabinets are slightly darker and the island is dramatically darker/. Go for an easy to maintain style by choosing slab style fronts for a sleek and clean kitchen!n The straight lines make this kitchen feel modern. Consider a counter to ceiling backsplash for a dramatic punch! Use gray as a feature island, the darker the color, the more dramatic the presentation! Get inspired by the Europeans and mix and match sleek cabinetry colors and textures for something totally unique! How do you feel about trendy gray cabinetry? Is it over done? Are you just getting into it? We want to hear from you, share your thoughts in the comment section below.